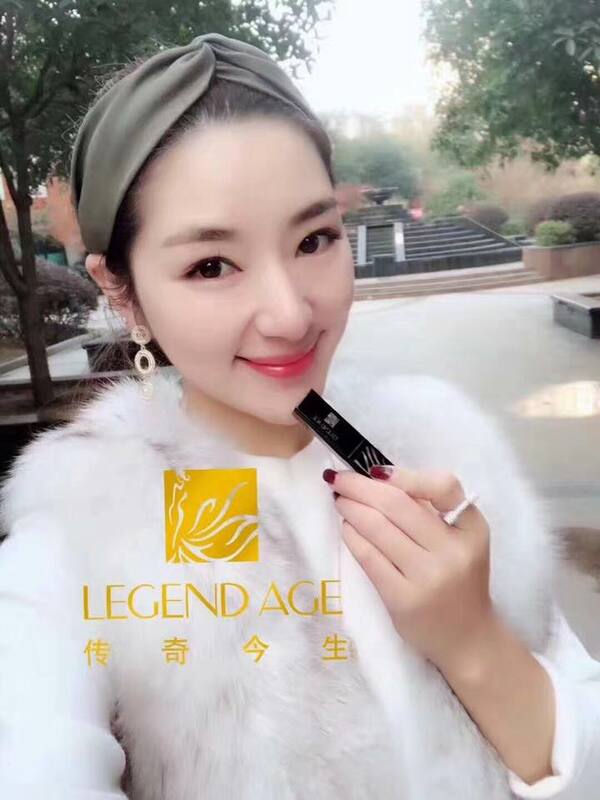 Legend Age Healthy Cherry Lipstick – A brand that born in France in 1958, a product that contain only natural ingredients. 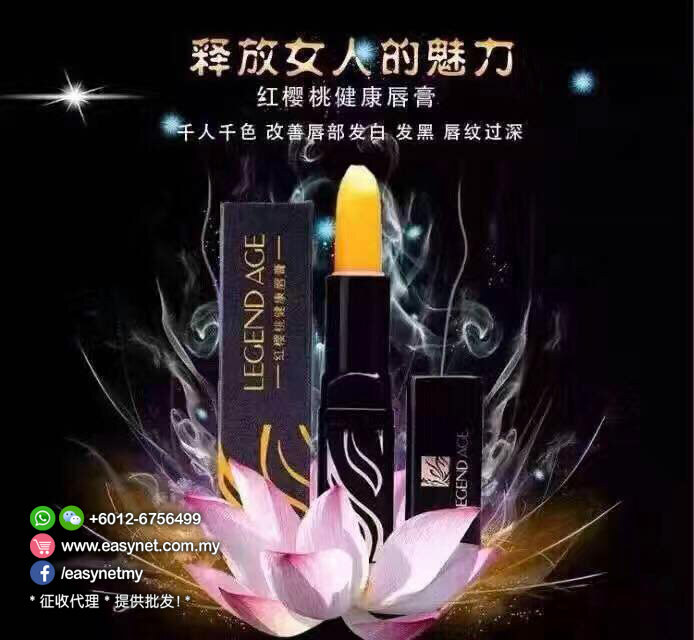 The Top ingredient for Lipcare present healthy & attractive lipstick, forms Heme peptide Bionic Effect according to the various natural & green active ingredients. 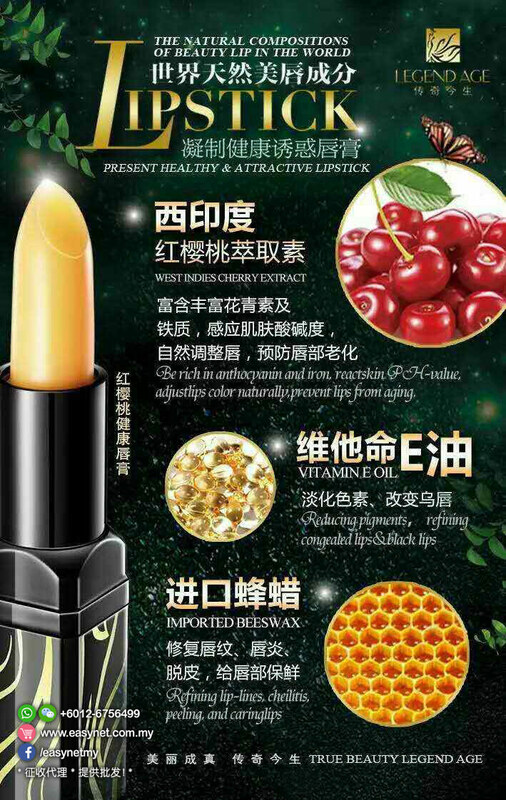 A combination of lip balm, lipstick and lip mask that bring you a healthy lips. 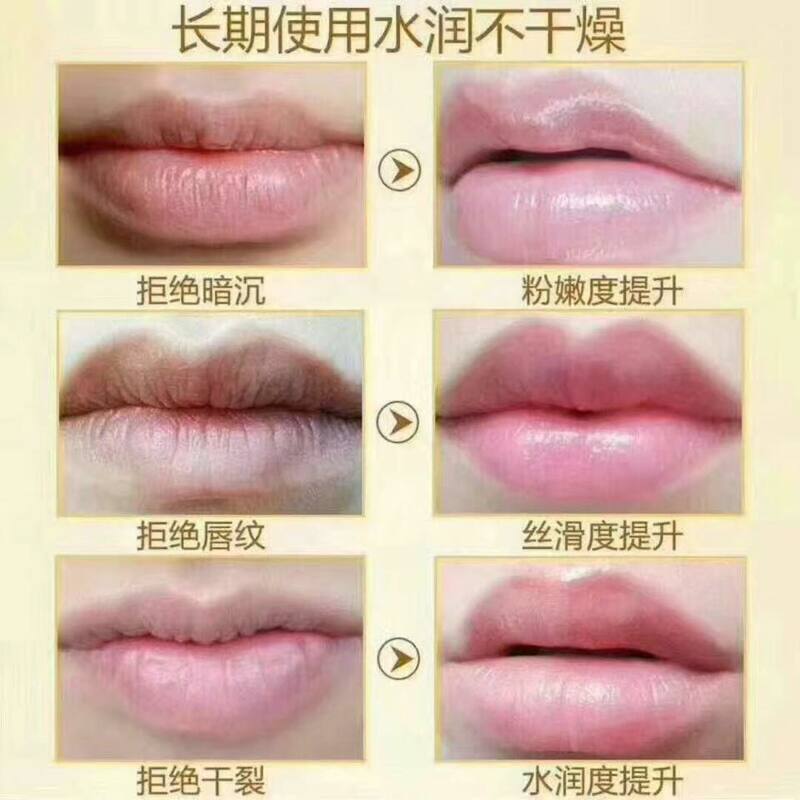 It is to solve lips problem. Formulated in France. 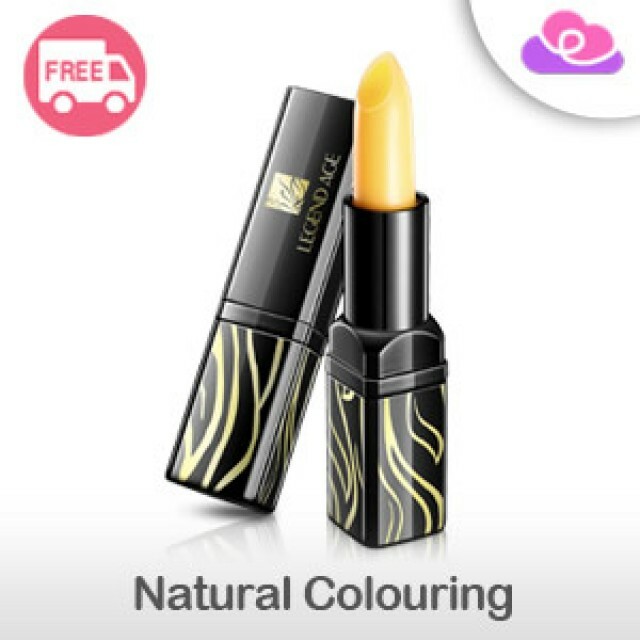 One lipstick, thousands colors. 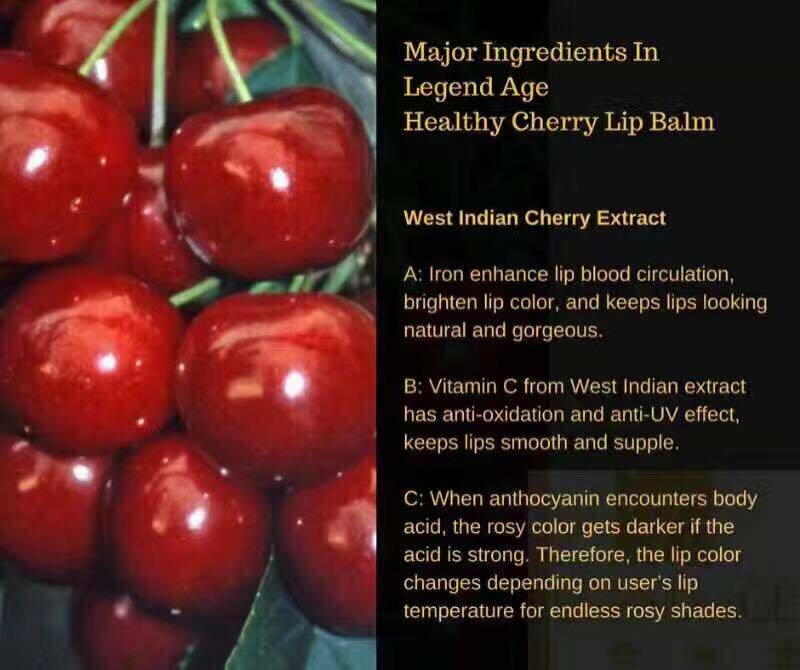 The anthocyanins and iron extracted from cherry can be absorbed easily by lip skin and change lip color depending on skin temperature, blood circulation and skin PH value. 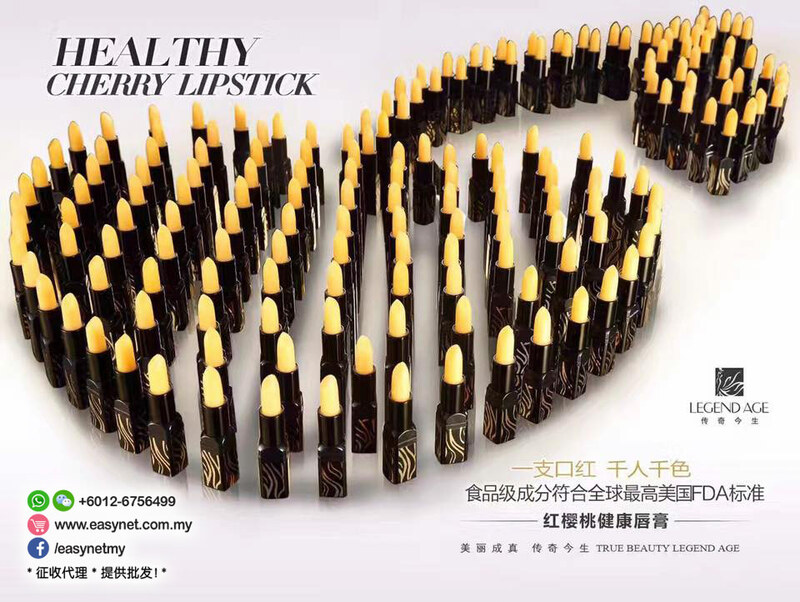 - Rich iron could help lips produce more heme and could keep lips fresh and gorgeous. - Natural beeswax is yellow or pale brown ( this is the reason why our lipstick paste is yellow). 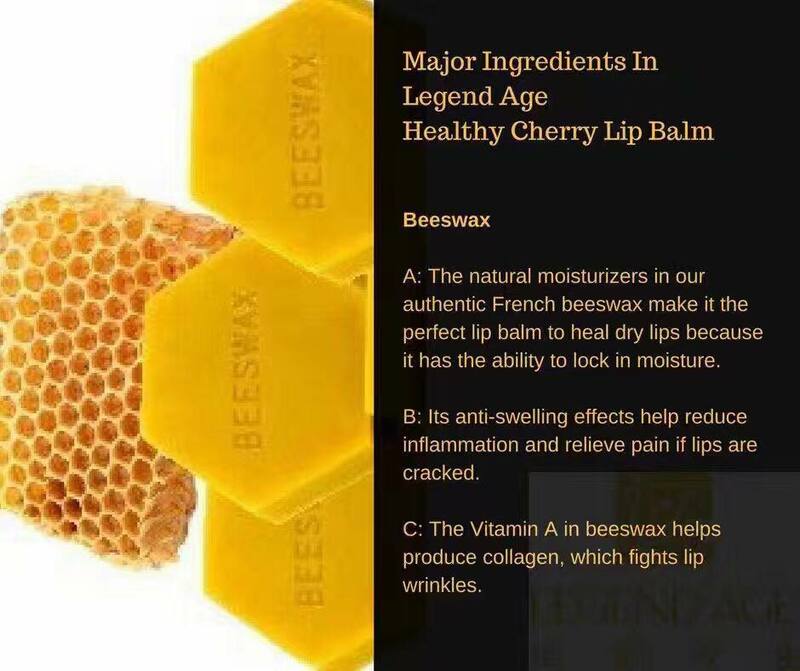 - Beewax is fatty substances secreted by works bees. 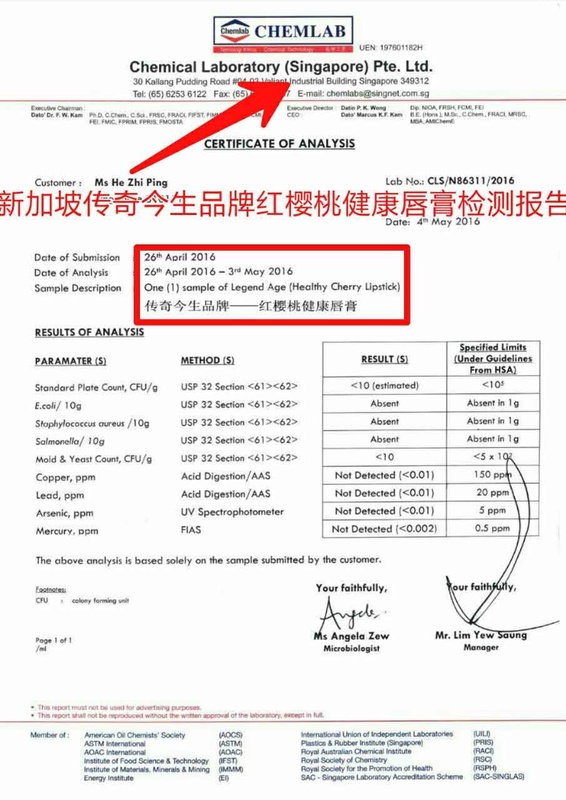 The main component if this wax is an ester of higher fatty acids and higher monohydric alcohol. 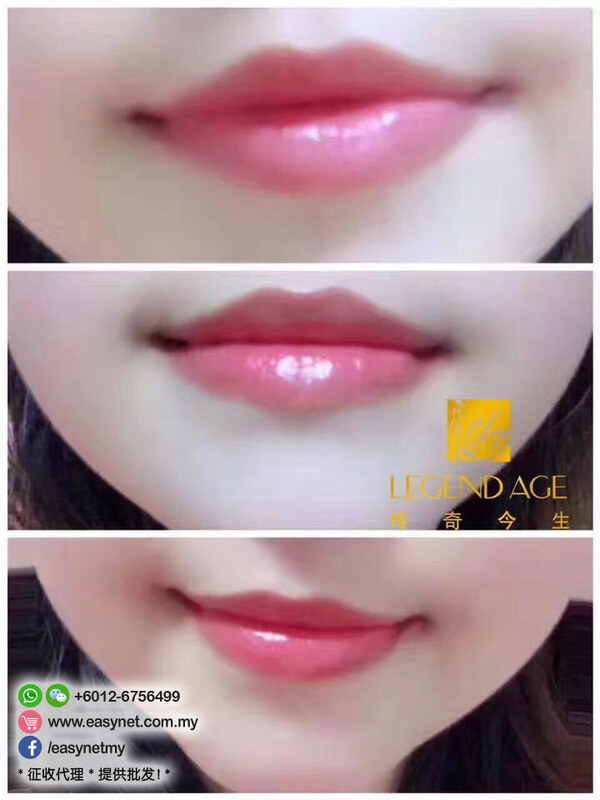 - Maintain carotene, vitamin e and permeable, smooth to repair and rejuvenated lips. - Lightweight to keep lip skin breathing and promote metabolism. 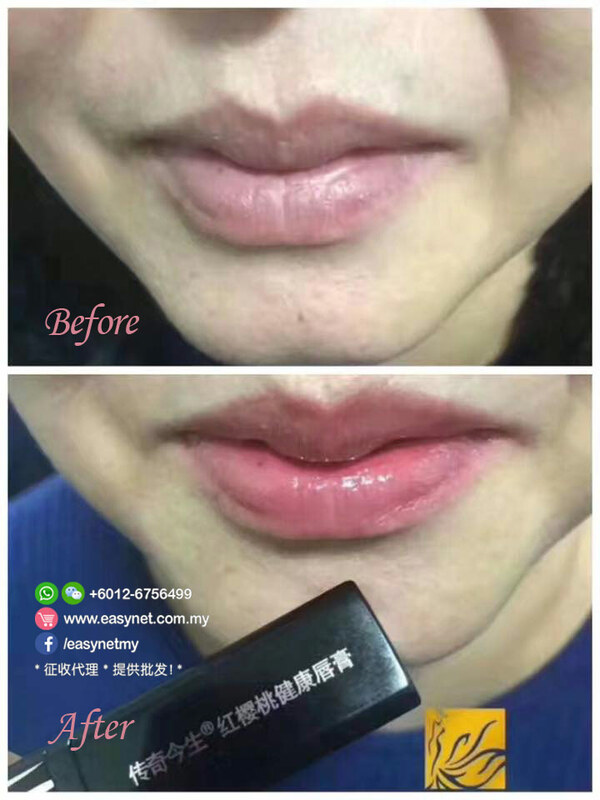 - Strengthen lip skin’s defense and improve the ability to repair. 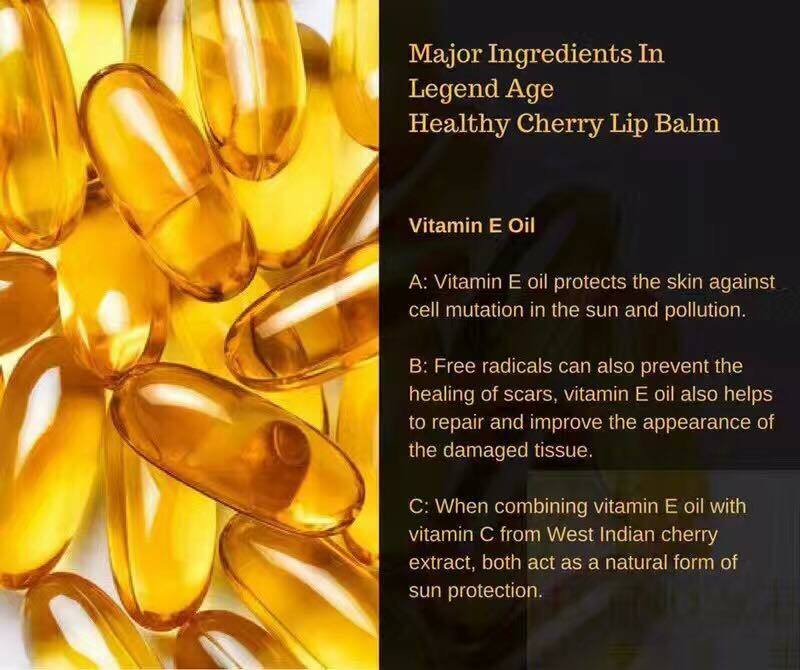 - Natural and powerful antioxidant can maintain the integrity of the cell membrance, keep moisture, prevent pigmentation, reduce lip wrinkle and prevent lip aging. - One of the essential Vitamins. 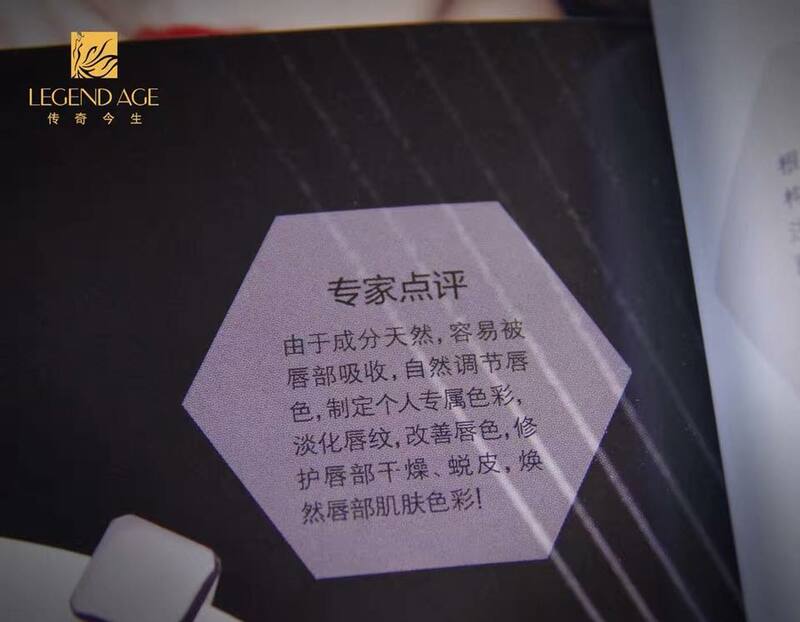 It is extracted from a larger amount of healthy green plant's seed germ and easily absorbed by the skin to promote the metabolism and prevent pigmention, improve skin elasticity, moisturize lip skin and slow aging. 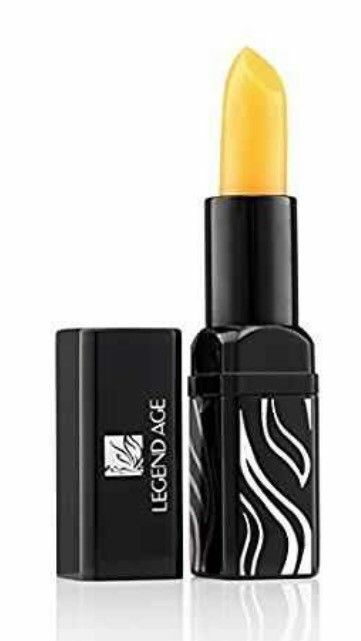 - Can apply as lipstick base before applying normal lipstick. 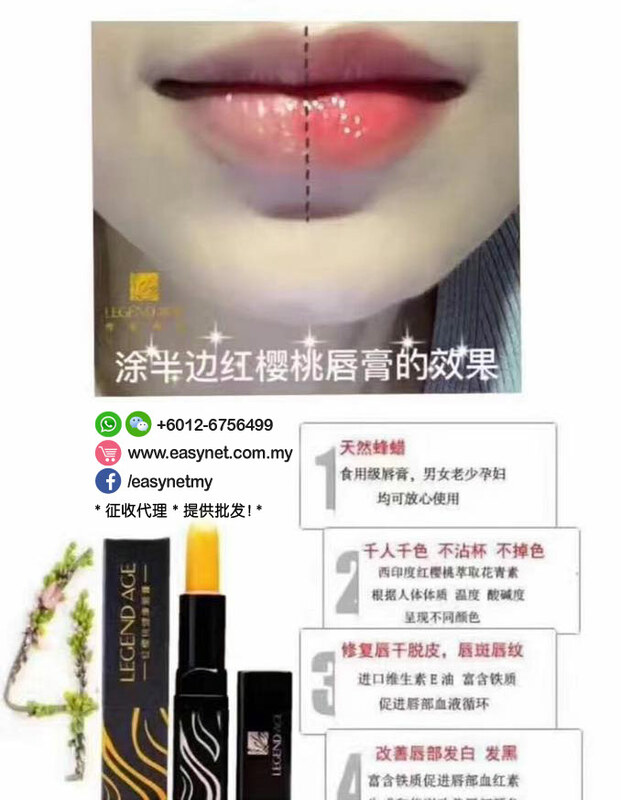 - Apply to lips not more than 4 times per day. 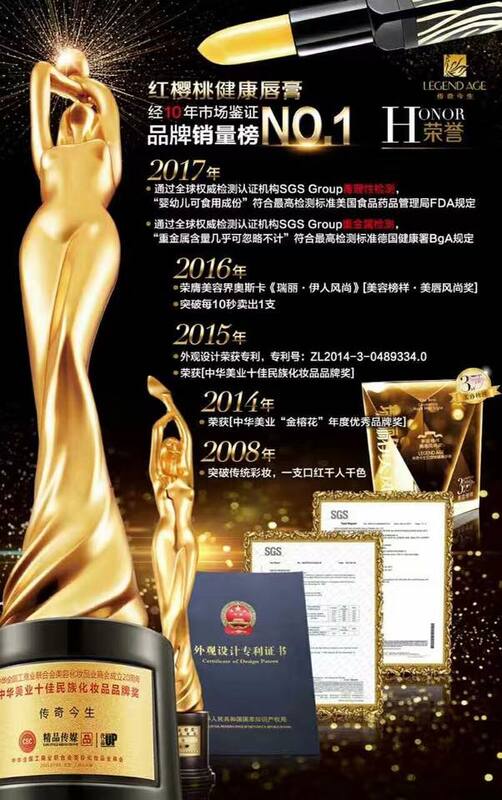 - The best time to apply is after breakfast, lunch, supper and before going to bed. 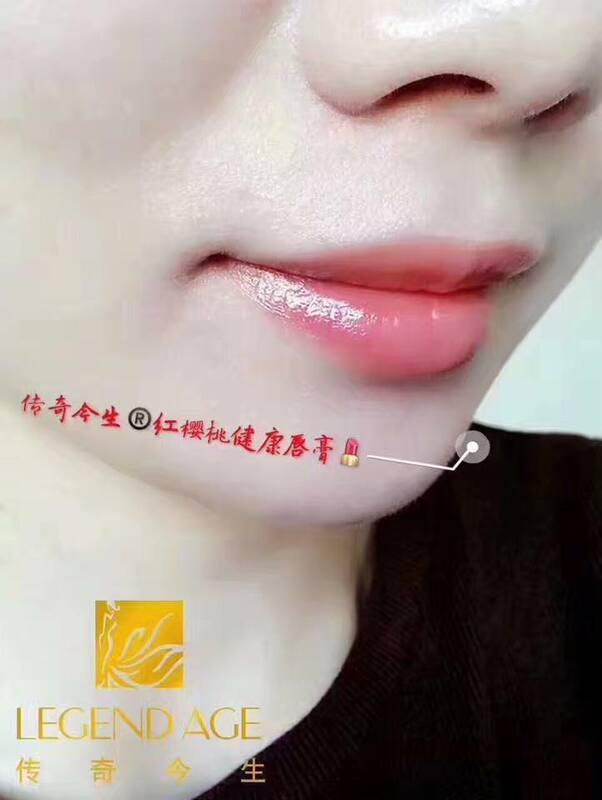 - Put the lipstick into refrigerator to cool it before use if the paste is too soft. 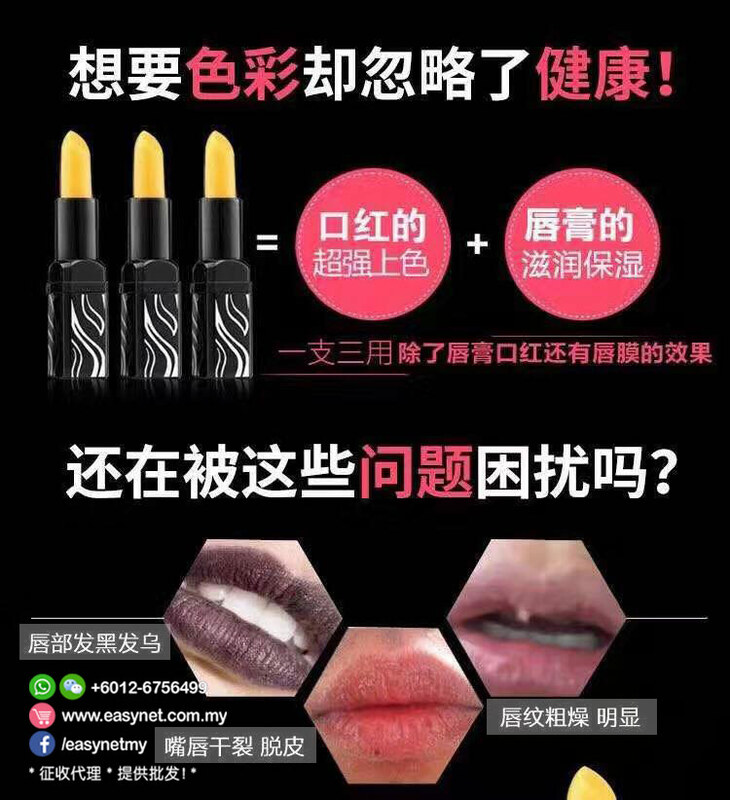 * In order to avoid breaking off, please twist up nore more than 1 cm when applying. 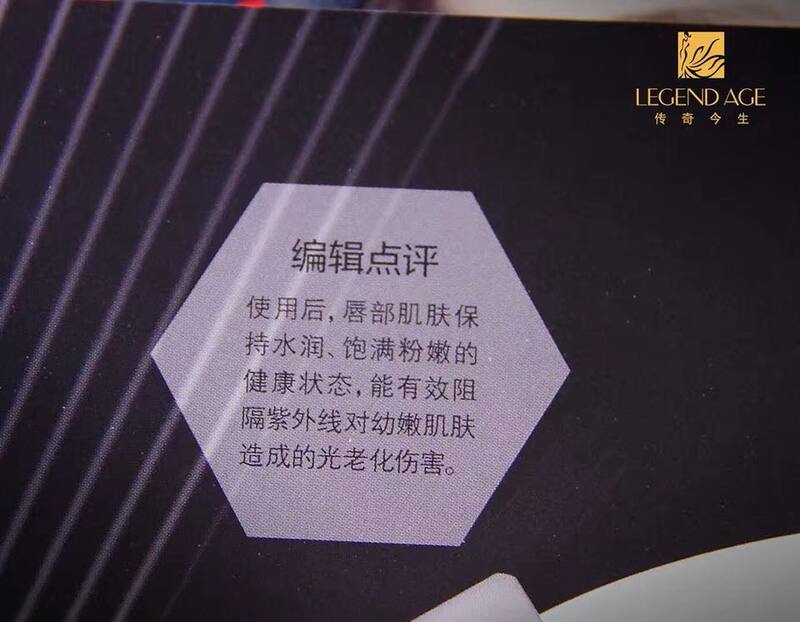 - Do not twist out the paste over since the paste is soft because of no paraffin. 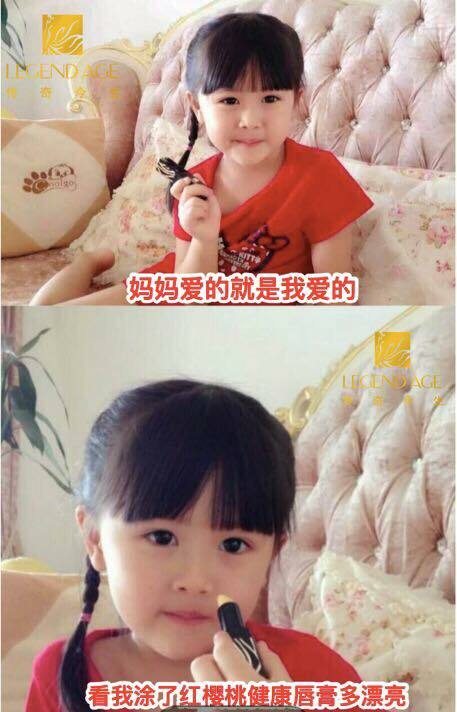 Keep the lipstick away from heat and high temperature environment (such as in the car). 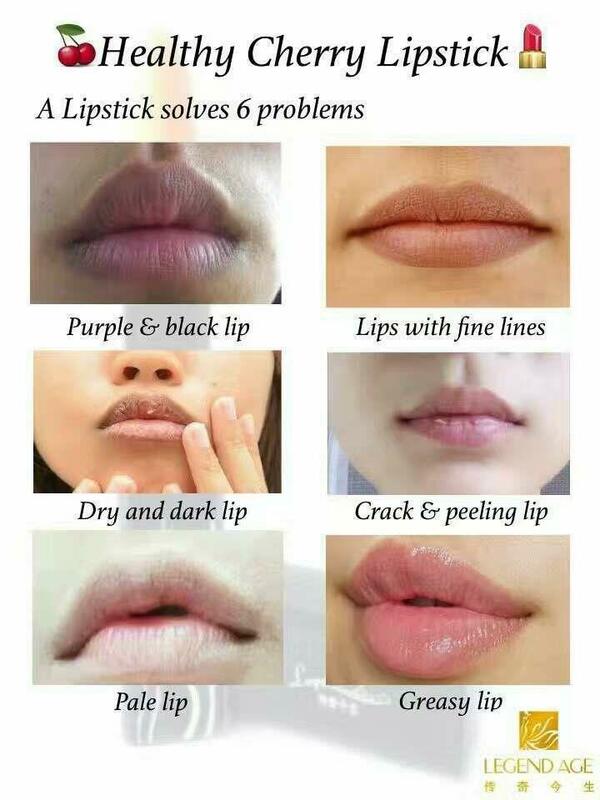 - Keep lipstick stand still. 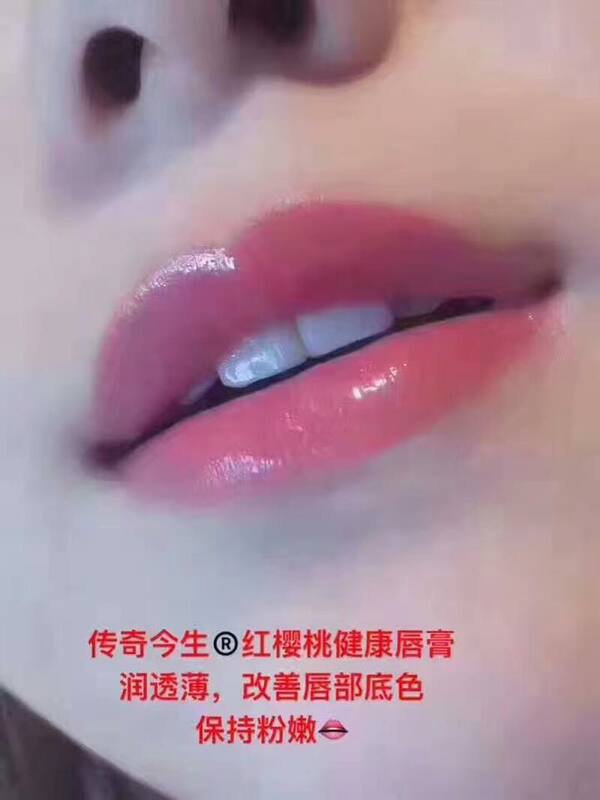 - If the lipstick melts, please place it in the refrigerator for some time to re-solidify. 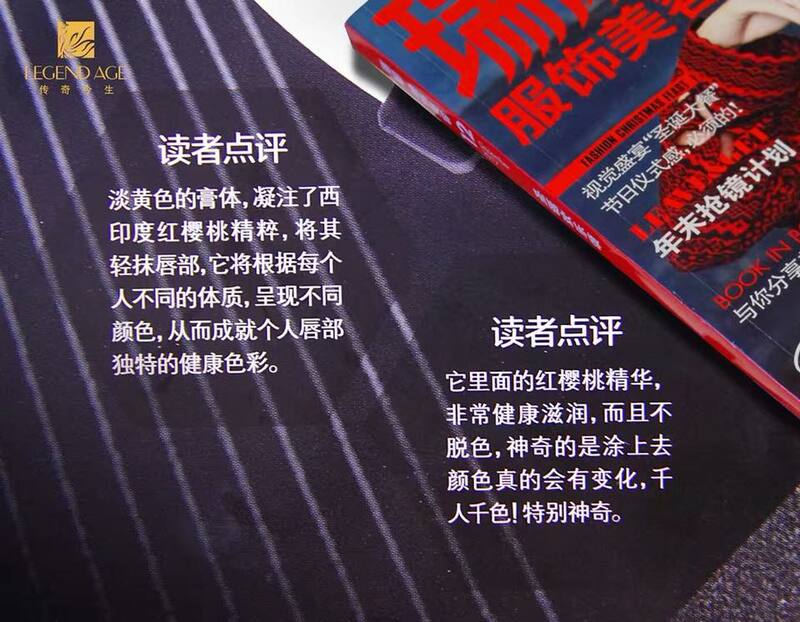 - Storage: Display in well-ventilated place without alcohol, nail polish, paint and other strong smell stuff.